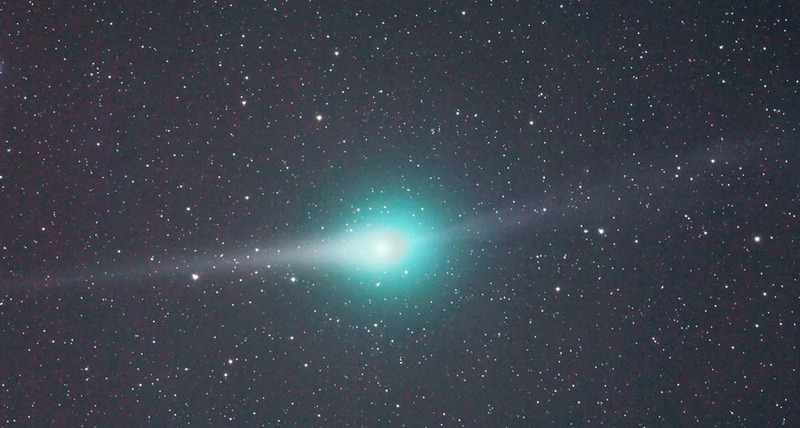 VISUAL REPORTS: "On Feb. 20th, Comet Lulin was a spectacular sight from my dark sky haunt at Sunset Crater National Monument," reports Jeremy Perez in Arizona. 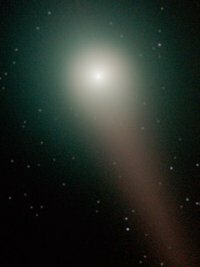 "It was readily visible to the naked eye as a soft spot in Virgo, and was breathtaking through binoculars and telescope." 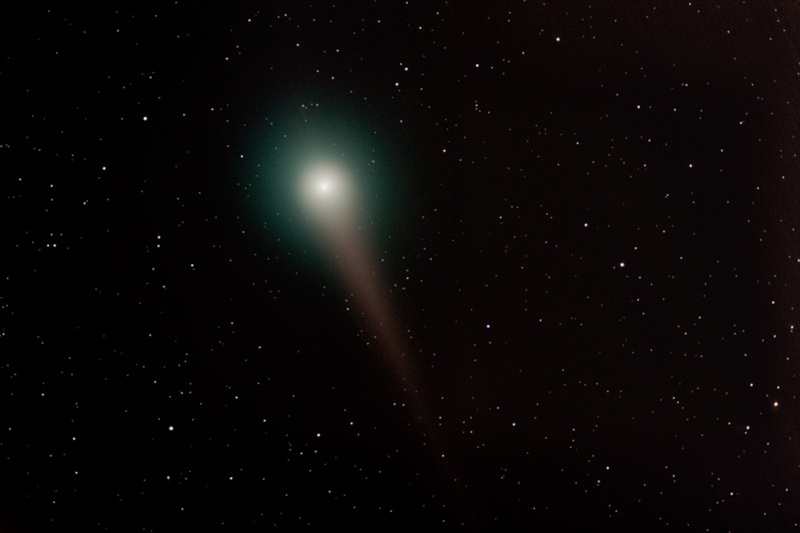 "The comet is just barely naked eye in a dark sky," says Ginger Mayfield of Divide, Colorado, on Feb. 20th. "Seems a little brighter than 24 hours ago. It was 12 degrees F outside when I took this image." 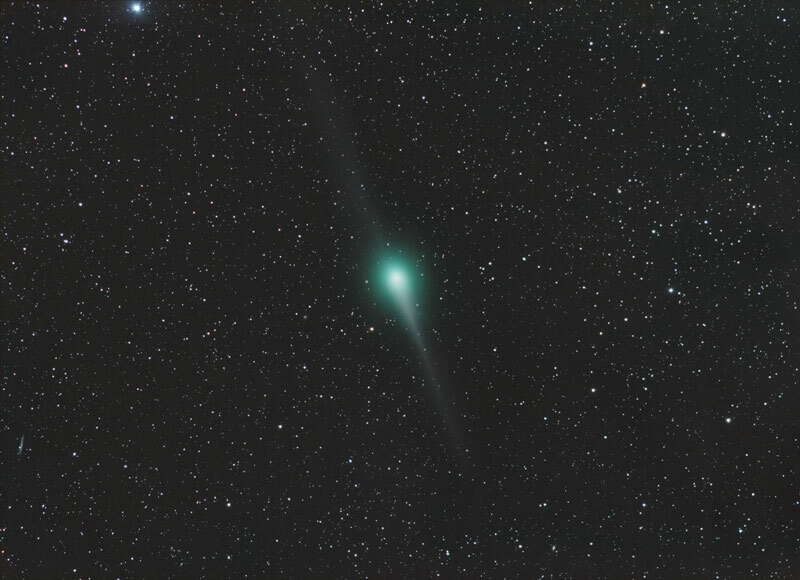 "Last night away from city lights, comet Lulin was just visible to the naked eye," reports Todd Hargis from Horseshoe Bay Texas, on Feb. 21st. "Lulin was fairly bright in my cameras viewfinder posing for a photo." 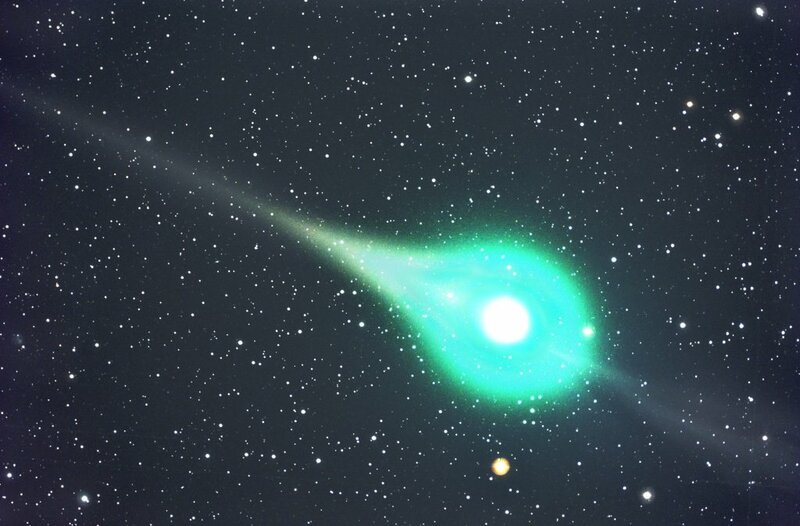 Image of Comet Lulin on February 21 around 1:30am EST. Photographed with a Takahashi FSQ using a Canon 5D MarkII at ISO 3200, three minute exposure, combination of four images. 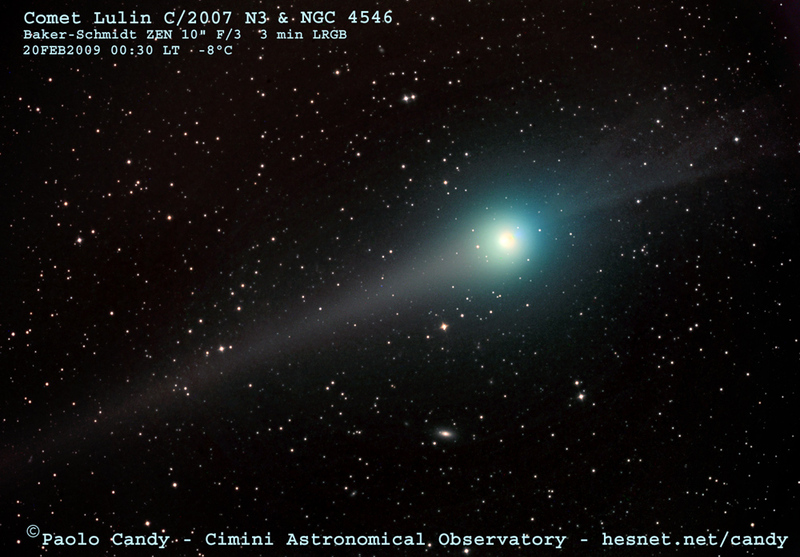 Comet Lulin has brightened considerably and is a very easy naked eye object. I imaged lulin with my Meade 14" HyperStar f2 and combined four,4min, exposures. image taken from The Arizona Sky Village Portal. 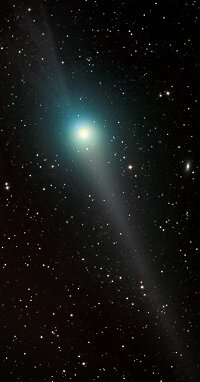 I was just able to see Comet Lulin with averted vision from my light polluted location early in the morning on Feb 20th, 2009. I switched to a wide-field setup with a fast lens to photograph it. That worked really well. Details: 22x120 sec @ ISO 1600. Canon 200mm F/2.8 lens, Hutech Canon XS, IDAS-LPS, Atlas EQ-G w/EQMOD. 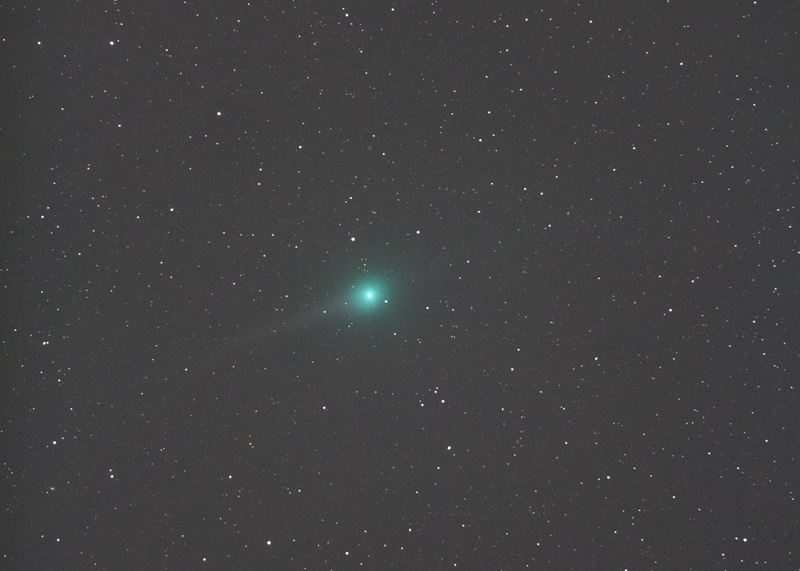 During last quarter Moon, I imaged the comet over a five hour period on 2/17. 138 one-minute exposures were stacked using DeepSky Stacker for this image. A time lapse movie spanning 4.5 hours using 200 one-minute exposures were used for a video that has been posted on Youtube.